 The Rites of Passage Institute wants all boys and girls to be able to attend a Rite of Passage program. We have created a list of programs we are aware of around Australia. These programs also include programs for adults seeking their own Rite of Passage. *Please note that programs are run independently and The Rites of Passage Institute has no financial gain from these. Please ensure that you contact the organisers to be certain that the program is suitable for you. Boys To The Bush: is a camp run for boys aged 8-15. These camps are designed to get the boys “back to basics”, giving a digital detox all whilst teaching the boys a variety of trade/farm related skills. A strong emphasis is placed upon Building Resilience and promoting independence. Centre for Men Australia: offers a network of small communities for men, and support for men in crisis and life transition. The centrepiece of their work is the Men’s Rites of Passage held each August. This is an invitation to men from age 30 onwards, to experience a five day initiation process into becoming elders in their communities. This work was founded by the Franciscan Richard Rohr and is a worldwide movement under the auspices of Illuman, Inc. Founded in 1984, The Outdoor Education Group (OEG) is an independent organisation that provides outdoor education and recreation experiences for tens of thousands of participants each year. OEG custom-designs programs from fully resourced journey-based school outdoor education programs to centre-based camps suitable for all school and community groups. OEG engages in extensive research in a broad range of fields – all aimed at improving the depth of the educational experience of all its participants. Kinship Camps: is a Perth based organisation offering programs which positively guide boys and girls along their journey towards adulthood. Our flagship program, ‘Men of Honour’, is a 3 day Rites of Passage (RoP) camp. This camp is a life changing experience designed for 14-16 year old boys and their dads or a male mentor. The program aims to challenge them physically and emotionally, providing experiences that allow them to leave behind child-like behaviour and transition to manhood in a supportive and safe environment. The team at Adventureworks WA are leadership and outdoor adventure specialists and have been working with individuals, schools and organisations across Australia and overseas for over 20 years. Their Rite of Passage program, aims to bring out the best in your boys and girls to become confident, healthy and valued young men and women. Based in Southeast Queensland, Powerhouse Programs is the creation of Stephen Halsall and Andy Roy. Combining the latest in scientific knowledge of teenage brain development, life skills for the entire family and experiential processes to deepen the learning, Stephen and Andy are passionate about supporting parents and school communities to support the often challenging teenage period. Outward Bound Australia: is an independent, not-for-profit outdoor education organisation that exists to empower people to discover, develop and achieve their full potential as individuals and future leaders. They empower school students, communities and young professionals to reach beyond their limits through exhilarating outdoor education programs that take participants to a place apart and challenge them to reach their full potential. The Mankind Project: is a network of men’s groups, communities and training centres situated in many locations across Australia. 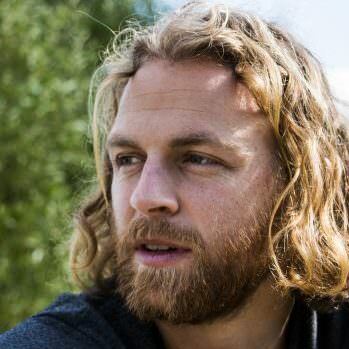 At the core of this community is a men’s educational training weekend workshop, The New Warrior Training Adventure, which aims to show the value of having a personal mission in life. Rites of Passage for Men: These rites of passage are walking journeys, in wilderness locations. They provide a structured process of inner exploration to reconnect a man with his heart, his unique essence. As men we wear lots of “hats” and they don’t always serve us well, leaving us to yearn for something more. On this unique journey, a journey that is just for men, we look inside and reconnect with ourselves and honour what has always been there. The Rite Journey: provides unique educational programs designed to support the development of self-aware, vital, responsible, respectful & resilient adults. The specially developed programs involve adolescents in reflection, discussion and developing strategies around transitioning into adulthood. The Sanskrit word ‘yatra’ means ‘journey’, ‘path of life’ or ‘pilgrimage’. A yatra is a largely silent walk which offers an opportunity to explore and experience a variety of teachings for personal development. Their vision is to help people step outside their normal habits and get a fresh perspective on ordinary life. They are available in numerous location around Australia. Vision Fast: A vision fast is a time spent away from the company of others, removed from the usual rhythms and demands of your life. Without food for a period of time, you gradually have only yourself and the natural world around you to pay attention to. In this place, what is essential for you may finally begin to become clear. Programs are run in WA and VIC. Fathering Adventures, founded by Darren Lewis in July 2008, is an adventure-based organisation, devoted to turning the hearts of fathers to their children, and the hearts of children to their fathers, as well as providing opportunities for men to initiate boys into young manhood, young men into authentic manhood, and bless & release girls / young women into authentic womanhood. Camps are run in various locations around Australia. Uncle Project, is a mentoring program that exists for boys who could benefit from a more supportive environment of positive male role models, to enhance their social, creative and physical skills. Uplifting Australia’s mission is to improve the emotional wellbeing and resilience of children and families across Australia. They aim to support families to provide their children with the best possible start in life. They deliver life changing outcomes to children and families across Australia with the CampOut with Kids program.locations around Australia. Rites Together: aims to facilitate a conscious, organised process within the community to recognise and acknowledge our young adolescent people moving into adulthood with a clear understanding of the rights and responsibilities that come with that transition. They currently offer Father and Son camps and aim to develop Mother and Daughter camps in the future. The Pathways Foundation: is a national harm prevention charity that has been delivering innovative and life changing rites of passage programmes to communities for over two decades, dedicated to assisting young people make a healthy, safe and timely transition from boy to young man and from girl to young woman. Their programmes led by experts in the field of ROP provide a safe environment in which young people and their parents and mentors can build stronger, and more supportive relationships and increase self confidence by giving opportunities to take up challenges, succeeding and celebrating the joy of that with others. 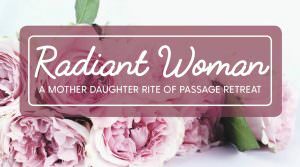 Radiant Woman: A Mother Daughter Rite of Passage Retreat: is a four day Rite of Passage experience for 14-17 year old girls and their mother or female mentor. Hosted in the Byron hinterland at an award winning eco-retreat centre with comfortable accommodation, this is a unique offering. 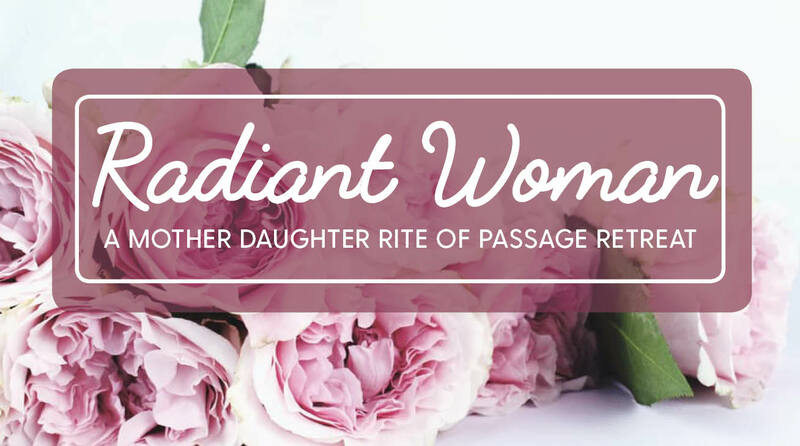 Radiant Woman gives your daughter the opportunity to be supported through these transitional years. She’ll experience peer-connection, excitement and challenge as well as a transformative process of evolution from girl to woman. This life-changing experience builds a stronger mother daughter relationship, and is focused on empowering your daughter to life her best life. 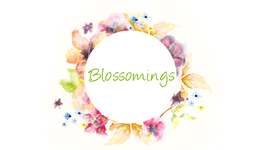 Maree Lipschitz: is passionate about helping women and girls navigate with grace and ease through the major transitions in their lives – menarche (puberty), motherhood and menopause. Future Dreamers Girls Club is a vibrant not-for-profit collective. We facilitate workshops, events & unique experiences for teen girls and young women. We inspire them to be confident, creative & active members of our community and planet. Alongside our own calendar of events, the Clubhouse is an interactive space showcasing the diverse skill and talent of the women of Byron & beyond. 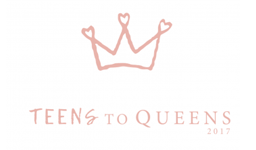 Teens to Queens: provides teenage girls a modern rites experience dedicated to honouring their shift from girlhood to young woman, while identifying the great talents and gifts they are bringing to their community and the world. In addition, the program gives mothers the opportunity to learn more about the modern pressures facing their daughters and learn how best to support them, while also feeling supported themselves. Hope Ryan has been running Blossoming Workshop – for Mothers & Daughters for three years, a program designed to inspire, delight, empower and educate girls and their mothers. This program serves as an introduction to menstruation and is an opportunity to explore and celebrate this powerful rite of passage. Designed for girls aged from 10-15, this program teaches participants to develop an authentic respect for their bodies. Program available in Bellingen NSW, Mornington Peninsular VIC, and elsewhere by arrangement. Go to facebook page | Go to website. The Wisdom Seekers facilitates monthly circles for girls aged between 9-14, providing a space to explore rites of passage through shared stories, education and transformation. Circles are an excellent way to facilitate and foster group cohesiveness and provides a safe space to ask questions, discuss problems and develop problem solving skills. 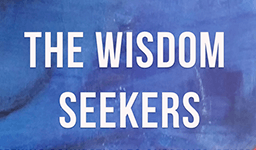 The Wisdom Seekers is based in Eltham / Mt Eliza VIC. Based in Adelaide, Your Body Your Temple facilitates Celebration Day For Girls, a beautiful way of breaking through the entrenched ‘taboo’ nature of womanhood and fertility and brings a sense of excitement, belonging, appreciation and wonder to being a woman and having a menstrual cycle. Step Into Womanhood Mother-Daughter Retreat is a 7 day retreat held during the July holidays each year in beautiful Ubud, Bali. This retreat has been created so that you can have time to bond with your daughter as generations of women have done before you. It is a precious space for girls and their mum or carer to develop a new respect and understanding for each other in preparation for the rest of your lives. 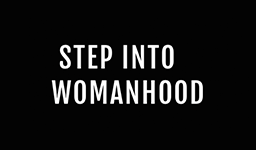 Step Into Womanhood also offers a Celebration Day For Girls workshop in Melbourne’s inner north, but can be available worldwide for larger groups upon request. 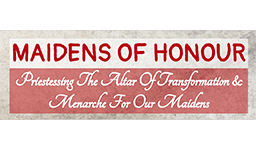 Maidens of Honour is centred around the mother daughter relationship through crafting and music. Based in Northern Queensland, workshops range from medicine drum camps, cycle stone and talking bowl weaving workshops, dream pillow camps and their annual Welcome to Womanhood spring festivity circle. 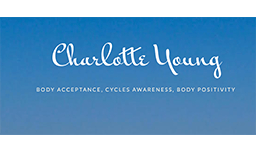 Charlotte Young facilitates Becoming a Woman – Celebration Day for Girls, a program that promotes lively discussion, fun activities, sharing stories and the gentle celebration of the magical threshold of puberty and menarche. The one day workshop is complemented by a 2 hour session for mothers to step through the content and offer a chance to express their hopes and wishes for the day. 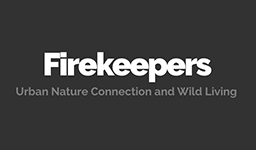 The Fire Keepers has developed a range of programs to facilitate rites of passage with a strong emphasis on nature and family. Wild By Nature Village Camp is a family-friendly 4-day camp designed to immerse participants in the wonder and wisdom of the wilds, learn skills of living close to the earth and share with others under the stars. Based in VIC. 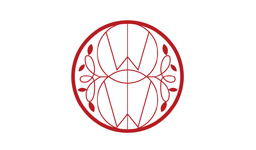 Within Women facilitates workshops and programs designed to embrace womanhood; women’s circles, drum making workshops, sacred blood circles and red tent circles. Within Women also administrates a private online Red Tent Community with over 900 women connected, contributing and supporting each other daily. Byron based but can travel anywhere to facilitate workshops and circles. 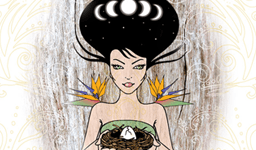 Arahni Lion is the brains behind Marigold Moon – Embodying the Heart and Womb. 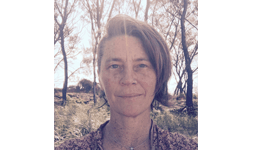 Marigold Moon operates from Sydney right through the south coast to Canberra, facilitating rites of passage, women’s circles, bodywork sessions and Remembering Women’s Mysteries community workshops. If you know of any other programs let us know via the form below so we can add them to our resource hub.